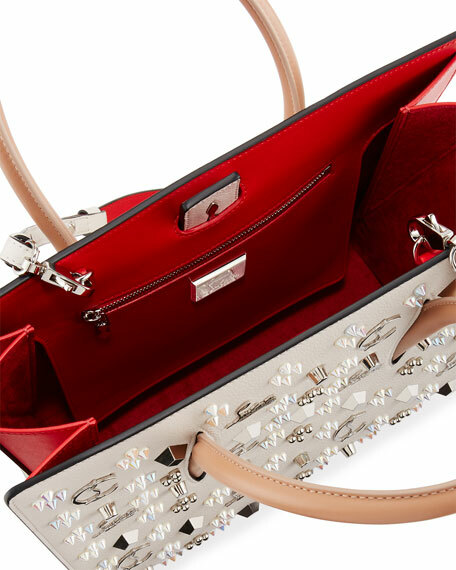 Christian Louboutin grained calf leather tote bag with mixed studs. Rolled top handles recess into bag, 4.3" drop. Removable, adjustable shoulder strap, 17" drop. Open top with tab closure. Divided interior creates three open compartments. Interior, two zip pockets and one slip pocket. 11"H x 12"W x 4.3"D; weighs 3 lb. 2.3 oz. For in-store inquiries, use sku #2127200. Exclusively ours. 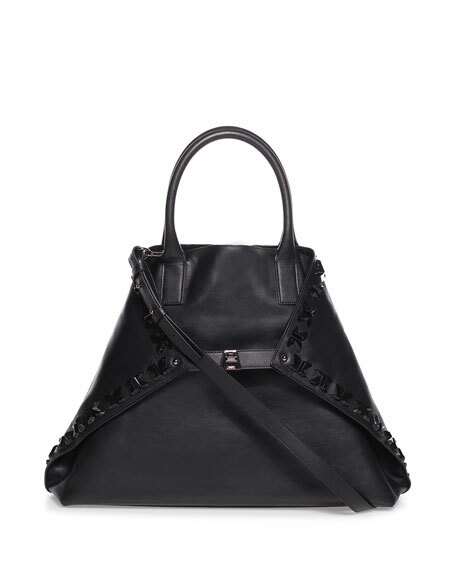 Akris tote bag in Bratescu embellished calf leather. Rolled top handles. 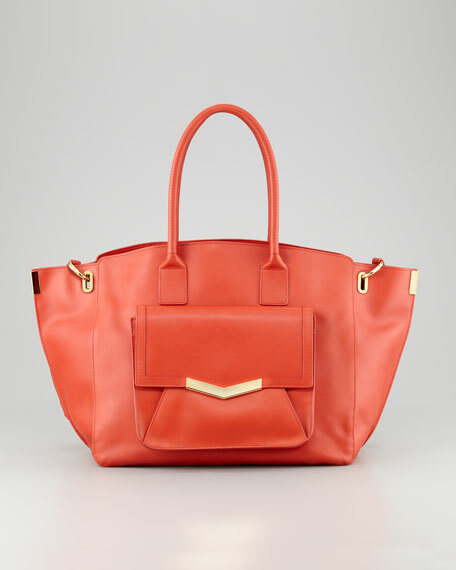 Detachable shoulder strap, 18.5" drop. Turn-lock belt folds down sides and buckles at front. 12.2"H x 18.5"W x 5.1"D. "Ai" is made in Romania. 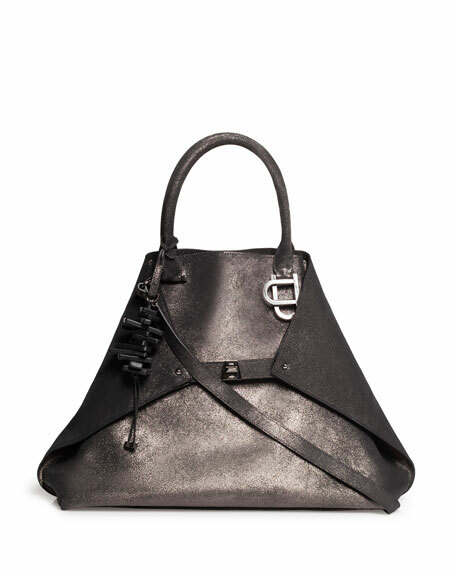 Akris convertible metallic brushed leather tote bag. Rolled top handles with hanging uneven charms. 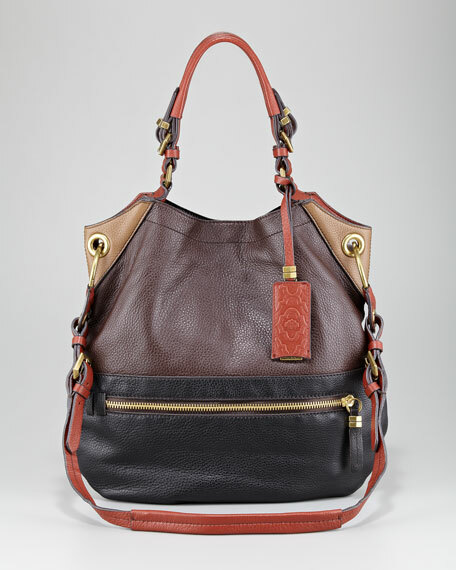 Detachable shoulder strap, 18.5" drop. Turn-lock belt folds down sides and buckles at front. 12.2"H x 18.5"W x 5.1"D. "Ai" is made in Romania.